One of the key vitamin K benefits is its role in blood clotting. Vitamin K initiates this vital process, allowing your body to begin healing after an injury. It is essential for the synthesis of clotting factors produced by your liver, where it is stored. Because of its connection with your body's circulatory system, vitamin K may reduce your risk of atherosclerosis or hardening of the arteries. It does this by preventing deposition of calcium deposits in your blood vessels. It also has anti-inflammatory properties. Atherosclerosis is linked to coronary heart disease, the leading cause of death in the United States. A diet rich in calcium is one way to prevent osteoporosis. Vitamin K helps your body stay strong by helping your body absorb calcium and directing it to your bones. Research has shown strong links between cardiovascular diseases and low bone density. Therefore, when you take vitamin K supplements, you are safeguarding your health in two important ways. Vitamin K supplements play a supportive role in the care for patients suffering from conditions such as ulcerative colitis or celiac disease. These conditions interfere with the normal nutritional uptake in the gastrointestinal system. In addition to its blood clotting properties, vitamin K has shown promise with the prevention and treatment of skin conditions such as spider veins and rosacea. It reduces the build-up of excessive blood that may be causing these skin disorders. It has even been shown to reduce post-surgery bruising from cosmetic laser surgery. Research links vitamin K and anti-aging benefits. It is believed that vitamin K helps prevent wrinkles by checking the calcification of your skin's elastin. Elastin is a protein that maintains the elasticity of your skin and blood vessels. Vitamin K improves your body's metabolism by improving your glucose tolerance and insulin sensitivity. Insulin is a hormone produced by your pancreas to decrease blood glucose levels. Your body is able to manage your blood sugar levels better, thus improving your overall metabolism. Another of the vitamin K benefits is currently being studied. Research suggests that vitamin K may also prevent cancer. Studies have shown that it has anti-cancer properties that may be useful in the prevention and treatment of cancer. As with any nutritional supplement, consult your doctor before you take vitamin K, especially if you are taking blood-thinning medications. Vitamin K is used by your veterinarian if your dog accidentally gets into an anti-coagulant type of rodent poison. It helps your pet by countering the effects of excessive bleeding caused by these pesticides. In order to treat it, your vet will give your pet one or more vitamin K injections. 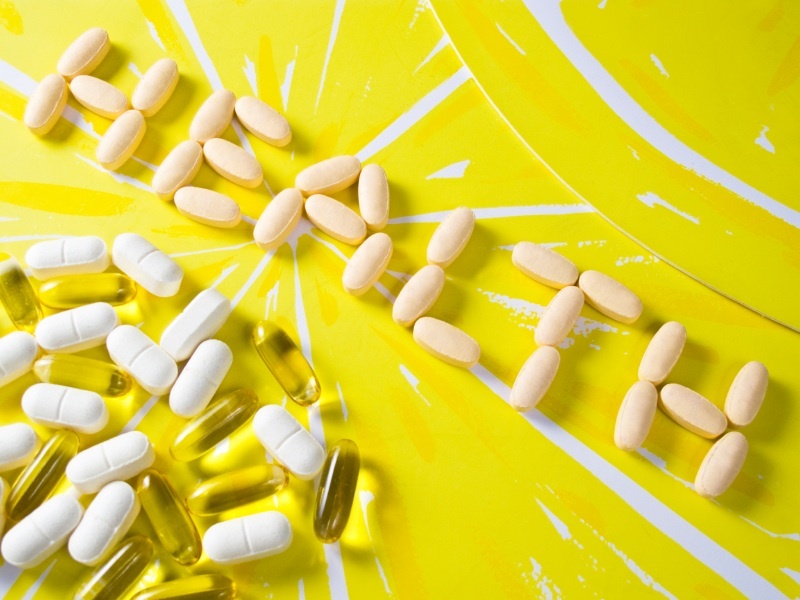 Learn more all about vitamins and their benefits.